There are loads of ways to experience Wanderlust—and volunteering may be our favorite. Here’s why you should consider it in 2019. Destination festivals. City festivals. 108s. Wellspring. There are loads of ways to get your Wanderlust on, and with our Wander For All program, loads of ways to make events more accessible. But if you’re looking to do more than just show up and want to establish a deeper connection with the Wanderlust family, there’s no better way to do it than to volunteer. Our volunteers are an integral part of the community; many have worked with us for years, most establish important relationships with mentors or teachers, and some even go on to full-time work with Wanderlust. Not only is volunteering a great way to begin to build lasting friendships, it’s also a mindfulness practice. Seva is the act of selfless service—of giving of oneself with no expectation of reward. 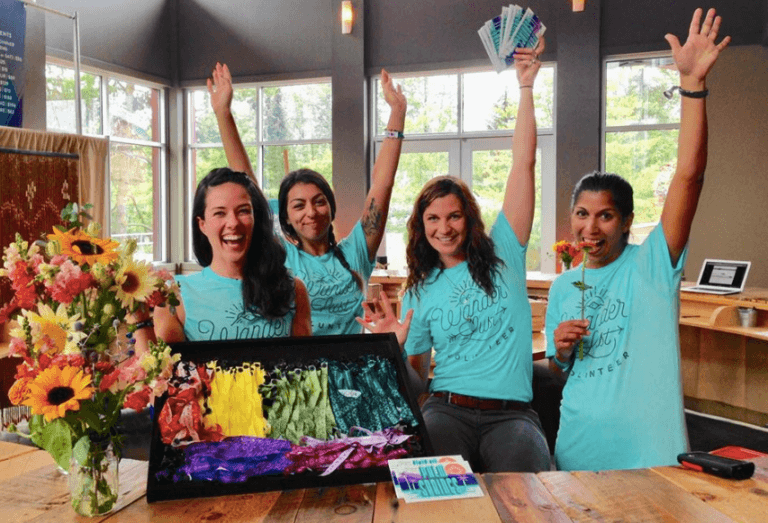 Volunteering at a yoga festival? That’s about as yogic as it gets. But don’t take our word for it. Here’s what three of our 2018 volunteers had to say about their experience on the road. Interested? Find out more and apply here. See you on the road! Absolutely an amazing time. I have volunteered at every opportunity for my local Wanderlust and enjoyed every experience! Everyone has been so kind, so genuine, so wonderful. I made new connections, shared precious yoga and mindful moments. I couldn’t be more grateful for the chance and absolutely glow with appreciation and pride from the lasting memories and kind physical takeaways. My Wanderlust volunteer shirts are some of my comfiest and I wouldn’t have as much amazing Wanderlust gear without the very generous discount. I hope I will continue having this amazing chance and am TRULY GRATEFUL to Wanderlust for the experiences! I can’t wait to have the chance to volunteer again. 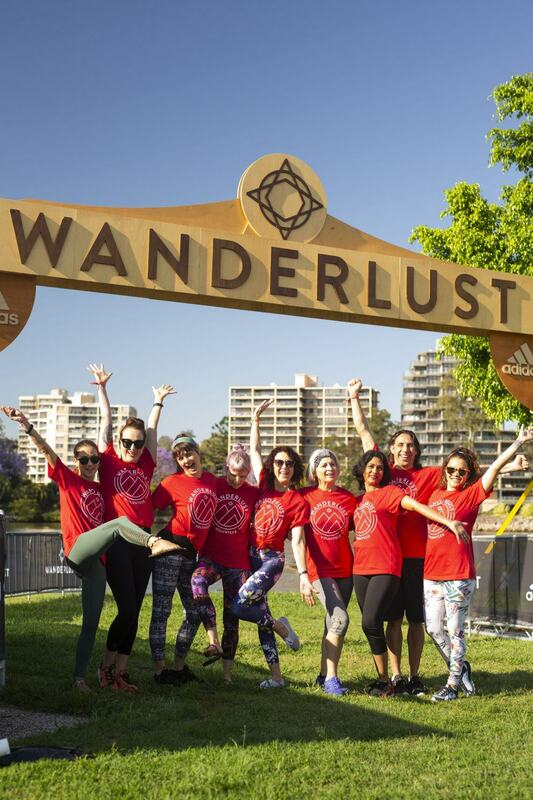 A group of volunteers at the Wanderlust 108 Brisbane, Australia. Photo by Dylan Evans. It was such a treat to meet and work with the Wanderlust team, as well as other volunteers at the Squaw Valley event! It was a very fulfilling weekend- sharing positive space and energy with other yogis (and their pets), being inspired by amazing instructors and enjoying beautiful nature all around. The process for and of volunteering was also very smooth- the team communicates and works well, so you can support and help them with ease! It was unbelievably wonderful experience! The whole vibe of event, the like minded people, the kind volunteers, the powerhouse programs, the healthy food, Wanderlust in Prospect Park Brooklyn this September was unforgettable. And to be part of volunteer team was super fun and rewarding. I highly recommend!